On Wednesday 07-09-2014 at 3:30 AM, Lapeer County Sheriff’s Deputy Carl Wilczak performed a traffic stop on a 1988 Volvo that displayed an expired Colorado registration on N. Lapeer Road near Davis Lake Road in Lapeer (Mayfield Township). Arrest for illegal narcotics and a criminal enterprise involving identity theft (involving numerous states) resulted. Kathleen Fromme age 33 from Caro, Michigan was the driver of the vehicle and Vanessa Thompson-Wilson age 43 from Colorado Springs Colorado was the passenger. Deputies established that Fromme and Thompson-Wilson were traveling from Colorado Springs to Caro when this traffic stop occurred. Originally, Kathleen Fromme was arrested for having a suspended driver’s license in the State of Michigan. Vanessa Thompson-Wilson was arrested on a valid felony warrant out of the El Pasco County Sheriff’s Office in Colorado for identify theft. During the arrest, deputies discovered and seized crystal methamphetamine (street value of approximately $400), marijuana (street value of approximately $50), personal information from numerous individuals residing all over the United States, and equipment with the capabilities to duplicate/produce identifications and documents. 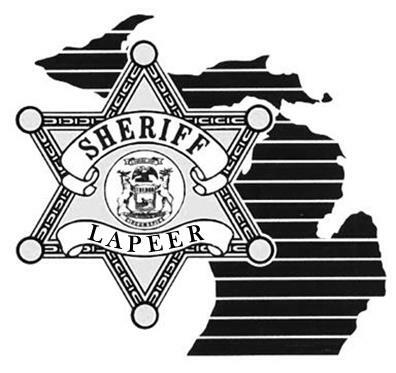 Both individuals were arrested and lodged in the Lapeer County Jail. On Thursday 07-10-2014, the Lapeer County Prosecutor’s Office (Assistant Prosecutor Cailin Wilson) authorized arrest warrants for the following criminal charges. Kathleen Fromme: Criminal Enterprises (20 yr); Possession of Methamphetamine (10 yr); Possession of personal identification with intent to commit identity theft (5 yr); Possession of marijuana (1 yr); operating while license suspended (93 day); and habitual offender fourth offense notice. Vanessa Thompson-Wilson: Criminal Enterprises (20 yr); Possession of Methamphetamine (10 yr); Possession of personal identification with intent to commit identity theft (5 yr); and habitual offender fourth offense notice. A fugitive warrant in the State of Michigan was issued for the Colorado valid felony warrant. Fromme and Thompson-Wilson were arraigned on the criminal charges in the 71-A District Court of Lapeer on Thursday 07-10-2014.